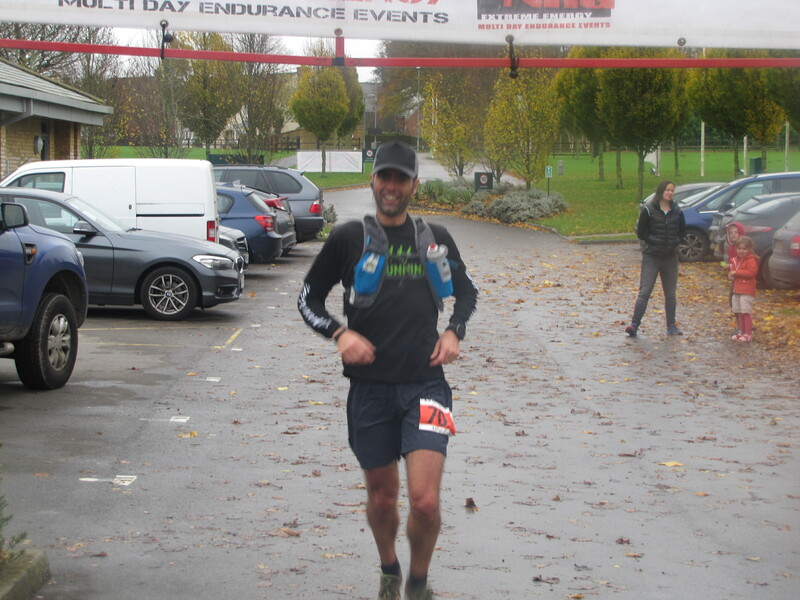 After the last 10 mile race it was time to prepare for my first multi day event, the Druid Challenge, three days of running on the Ridgeway for a total of 84 miles. I have been looking forward to this race for more than 6 months and I wanted to prepare well. The four weeks leading to the race went really well. I ran 6 times a week with a weekly average of more than 100k and did back to back long runs during the weekends. I started the first week with 30k on Saturday and 20k on Sunday. Then the week after 35k and 30k and the third week I did 40k and 20k. 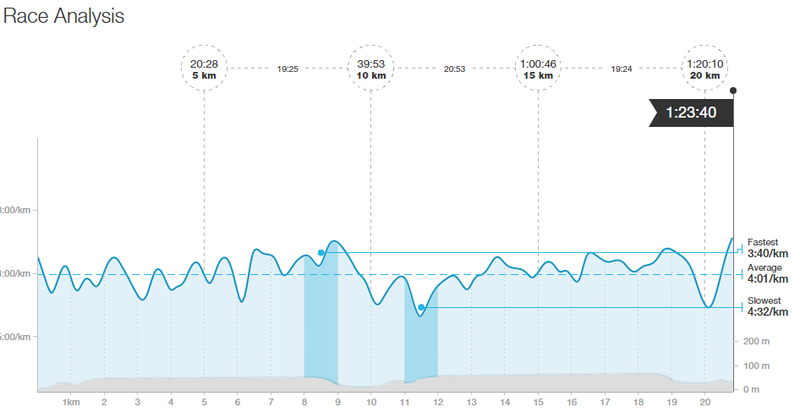 During those week I also did speed training twice a week, a couple of hill repeats and tempo runs. Basically I prepared very well and I felt super confident. So I packed my bag and I was ready to go! Actually packing the bag has been quite a challenge as having to run 3 days in a row with no idea of what the weather was going to be like I brought a million things, plus an inflatable bed and sleeping bag. The train trip to the start at Tring took ages. I met another guy at Clapham who was going to the race too and we could not even get on the first train. It was so packed. When we finally got to Tring we were just in time to get ready to start with the Elite group, which was fine for me as I registered as “elite”. Anyone that thought they could do the first day in less than 5 hours was elite. The idea is that the fastest runners start later so that everyone sort of finishes together and the checkpoints are ready etc. So walkers always started first, an hour later the runners and another hour later the elite. Depending on how you finished each day you were put in the elite or not. It was my aim to always be in the elite and it was not that hard to achieve. From the Tring station we were taken by mini-bus to a farm where we could change (inside a silo) and listen to the race briefing. We were then driven to the start of the race, on the Ridgeway. It was pretty evident from the start that it was going to be a wet and windy day, but everybody was excited. We started with a bit of downhill that was probably the most dangerous of the whole race as it was on that white slippery chalk terrain that is characteristic of the Ridgeway. After that the rest was mud for the best part of the three days. The first day was the longest, almost 30 miles and as I did not know how I was going to feel running for 3 days I took it relatively easy. The race leaders disappeared pretty quickly. Even if the whole race is on the Ridgway and I had the GPX file on my watch I managed to get lost many times. The first time after not even 3 kms and the second time 1km later. The first half of the day went pretty well. After 20km we entered Wendover. It felt a bit strange as it was a Friday, kids were in school, people were in offices and we were running in the rain. After Wendover I think I took the wrong path again (I got lost there on my second marathon in February too), but after a while on the top of the hill I managed to get back on track. At that point we started overtaking quite a lot of walkers and slower runners which in a way gave me quite a boost. I saved the mp3 player until halfway through the race which was exactly crossing the fields in front of Chequers. While trying to put my headphones on I lost one of the yurbuds. Sad, but I did not stop. The rest of the race was a mix of emotions. The wind sometimes was very strong and the terrain slippery. I stopped to put my jacket on and felt terrible for a couple of kms. Then on a downhill bit I felt fantastic, then terrible again. The last checkpoint was 10k from the end and I was really dead. The 8 or so km after that were the worst one, on endless flat fields with muddy bumpy terrain, hard to run on. Then it started getting dark and I did not want to stop and get my headlamp on so I started accelerating and felt I had more energy than expected and decided to race the darkness. The last 1.5k were on tarmac and I was happy to finally have some grip on the terrain. 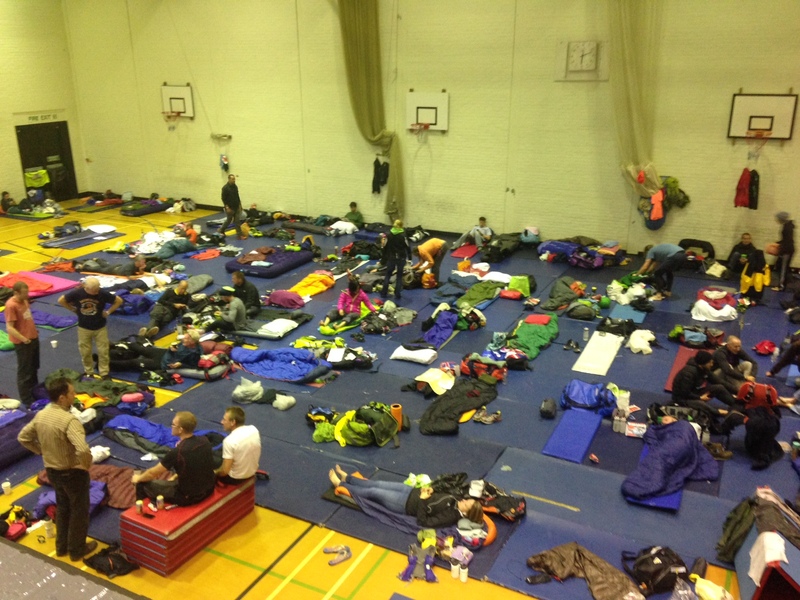 I arrived at the school in Watlington were we were staying for the night pretty spent. 48km in 5:01 in pretty atrocious conditions. After a hot shower and setting up my bed in the gym I started socialising a bit and it was a nice evening. I met a lot of nice people, the food was not too bad either and the evening went by pretty fast. A lot of people do this race to prepare for the Marathon de Sable so a lot of discussions were about that. While eating dinner I also discovered I finished the day in 15th position which was a lot better than I expected. At 10pm the light were switched off and everybody tried to sleep the best they could. Not easy with all the snoring and people moving about. Even with ear plugs it took me ages to fall asleep. The excitement and the novelty of my inflatable bed did not help. The second day was the shortest (just a bit over a marathon) and that was positive as I was already afraid of being out of steam. I knew the rest I had during the night had not been enough. I even tried to sleep more in the morning as I was leaving with the 9am elite group. It did not help. I only managed to miss breakfast and I had to eat just two croissants with some water. Luckily half of my luggage was food. I had enough snacks to survive for a month. The route on the second day started from the school where we slept so no need for a bus drive. It was raining very heavily and it was very windy. It was not going to get better any time soon. I started easy as I did not know how fit I was after the day before but I pretty soon got into a good rhythm. The first half of the route was actually the best of the whole three days. Up and down hills in the woods. Even if the weather was terrible the woods were lovely. Autumn is the best time to run. We kept on going between forested bits and open fields where the wind was moving you sideways. We then arrived at the golf course in Nuffield where I got lost this summer when exploring the Ridgeway and it was a morale boost. I knew that there was going to be a nice long descent for a while and I really enjoyed it and picked up the pace. Then there was a long bit on the river which I had found very boring and I was afraid I was going to suffer. Instead I just concentrated on following the people in front (mostly Laura, the girl who placed second at the end) and when we got to South Stoke I was glad that part was over. I barely stopped at the checkpoint and kept going. Faster and faster. I felt good. I put my MP3 on and started overtaking some of the people that started with me. I was so into it I took the wrong turn at Goring but luckily recovered quickly. Beautiful town on the river by the way. After that, at the 27th km there was a long climb. I ran most of it. Fuelled by some wafers and the thoughts I was well over halfway through. When I got at the top a Metallica song boomed in my ears and coupled with the descent made me do a fist pump and grin like an idiot. That high point did not last long. I had to walk a bit and lost some time before the final check point but then I knew it was almost over. After that it felt like it took ages to get to the finish line. The final kms where on open fields beaten by such a strong wind I had to remove my hat and I kept on losing my footing in the mud. I was glad when it was over. It had been shorter and I did not finish spent, but I was so happy to be handed a hot cup of tea at the end! Finished the day in 14th position: 43km in 4:32. We were then driven to the leisure center in Wantage where we were staying for the night. Luckily I arrived early and managed to get a nice hot shower. Others were not so lucky. I have maximum respect for those people walking most of the route. They spend 9 or so hours in the mud, rain and wind and when they get in they risk of not having a hot shower! Even crazier were the two guys pulling a tire for 3 days, training for the Yukon Arctic Ultra. The rest of the afternoon was spent resting, chatting with fellow runners and mending the various painful bits. I had a sport massage that I found fantastic. It was my first one but it will not be my last. I had a little pain in the right shin but there was nothing I could do. After a nice dinner (hat off to the organisers, everything was like clockwork) we attended two talks. The first one was from course record holder Nathan Montague who talked to us about his latest victory at the Kalahari Augrabies Extreme Desert Marathon. Very interesting and inspirational stuff. The second talk was from Rory Coleman. I have to say, I did not enjoy this last one much. Then we were off to bed. This time I managed to fall asleep pretty quickly and never woke up during the night. The third day I woke up with a bit more pain on the right shin, but not to terrible. The weather was still quite abysmal but everybody was pretty excited to finish the challenge. Again I started in the 9am elite group. We were driven to where we finished the day before and the first part of the run was basically in the same boring terrain as the end of the day before. I really tried to take it easy (sticking to around 5:30/5:40 min/km) and save enough energy to get to the end, but after a while I felt pretty good (same thing as day 2 basically). The pain on the shin went away. I kept on eating my salt sticks and gels and avoided the check points food. I had been very diligent all the other days and avoided eating strange stuff and that meant no issues at all with my belly this time. After the first 16k in the undulating fields we started going up and down nicer looking hills and I accelerated a bit and left the group I was with behind. For a second the sun came out but then the rain came back. It was colder than the days before but that was actually better. At around 27km we arrived a Liddington where we had to run on a big busy road which was not fun, but I had a banana from the check point and kept on going. Then a very steep hill had to be climbed, very muddy and windy, rain was heavy and everything was clouded in fog. It was a pretty tough part of the race. I was surprised to see people having a Sunday walk in those conditions. A bit surreal, you could not see that much ahead and then people walking their dog popped out of the fog, or people on horse back, all this in a killer wind. Then when the fog cleared a bit I realised I was 15k from the end and I just felt like I could not run slow anymore. I had to go fast and I just went for it. I overtook a couple of people that had started with me and never looked back. At the last check point I did not even stop, I just showed my bib and kept running. I only noticed later I was going at under 4 min/km pace. Then I saw a guy that I know was close to me in the race timing and decided I had to overtake him. I think he saw me and started accelerating too, but then he stopped to open a gate and keep it open for Niandi and I went pass them. We talked for a bit and I tried not to look tired and accelerated in the fog. After a bit more of up and down on grassy hills there was the much awaited tarmac road leading to the end. The first half km was a very steep descent. People were walking down it but I could not stop, I just bombed down it. I think that is where I injured my shin even more and now after almost 4 weeks I am still not running. But whatever happened to my leg that day it was worth it. Those last 15km were probably the best in my running “career”. I was dead and at the same time full of energy. I just ran as fast as I could, uphill, downhill, everything. I never felt so alive. Overtaking people, saying hi to the ones I had met in the evenings. It felt so good. I also felt it was the end of the week end. 15k and then it was it, I had to make the most of it. The last couple of kms on the road were quite flat and I just went as fast as I could. It felt fast but it was actually just around 4:40 min/km but after almost 135k it felt fast. When I got to the finish line I was very happy: 46 more km done, in 4 hours 29. The last part of the third day was really an amazing experience and finishing the whole 3 day race felt like an achievement to be proud of. I got my medal, went for a shower. Noticed my shin was a bit swollen, but ignored it. I watched the prizes presentations to the winners and then took the mini-bus to Swindon. The train trip back home was endless. I only found out a bit later I had finished 13th in the whole race which is fantastic. I dreamt of being in the top 20 and I could not ask for more. Unfortunately I was not lucky enough to be captured in any of the nice photos taken on the hills and wood, but if you want to see how beautiful and wet it had been, check these albums out: day 1, day 2, day 3. For people interested in kit and nutrition I do not have much to say. I had to change every piece of clothing each day as nothing dried during the night. I only had one pair of shoes, the fantastic Saucony Peregrine. They worked really well, but sometimes I wished I had bigger slugs. Even with 3 days of wet feet I had no problems, the injinji worked as well as always. In three days (during the race) I ate 10 High Five energy gels, 12 Cliff Shots, 1 packet of Powerbar wafers and 12 saltsticks. I took very little from the aid stations apart from water and the occasional salty snack or half banana. Now I have not been able to run for almost a month and it looks like it will take bit longer to recover fully. X-rays have not found anything so I guess it’s just a question of taking a rest. It’s hard not to run but I am seeing it as a forced off season before I start preparing for next year Centurion Running 50 mile Grand Slam. Last week I ran the Wimbledon Common Half marathon. Last year I really enjoyed it and it was my first experience of a race on trails (sort of) and not flat. I wanted to do well as last year’s 12th position and time could definitely be improved on. As I had ran the NDW Marathon the week before I had to rest and take it easy for the six days in between. A very slow recovery 10k on Tuesday. My legs were really dead. I could not run faster than 5:12 m/km. On Thursday I felt better but my quads were still knackered. I need to train to run downhill more. I did 15k at a nice speed nonetheless: 4:27 m/km, but every little downhill step or section was a killer. 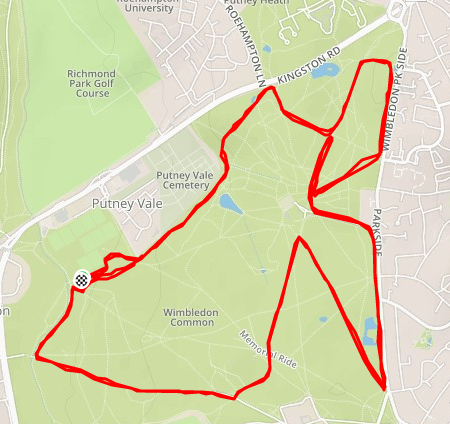 On Friday I did the 10k loop around Bushy park at an easy 4:48 m/km. On race day Sunday I woke up pretty early and feeling really well. On Saturday I cycled a bit just to keep active and I was full of energy. I had to drive to the race even if it was not that far as the weather was going to be very wet. I arrived pretty early to the race start, got my bib and then went to the car to spend half an hour reading tweets. At that point it started raining a bit and when I started my warm up routine it was really pouring down. From then on it never stopped raining. I like running in the rain and the temperature was good for a race (super cold to be July), but I was afraid of mud or slippery bits. The race took place around Wimbledon Common which is a bit hilly and it was made of two loops. I started in the front group but pretty soon I had more than 20 people in front. I stuck to my race plan which was very simple this time. I just wanted to finish the race with an average below 4:00 m/km so I was going to go fast on flats depending on how much time I had lost in the climbs (2 small climbs per loop, but enough to slow you down considerably). I am very happy to say I stuck to my plan and after 5k I was starting to overtake people that had started too fast or were not expecting to run in the muddy slippery trails. I was wearing my Saucony Peregrine that performed extremely well. I was really putting in maximum effort. My heart rate was constantly above 165bpm and I made sure that every single step was pushing me forward. I never felt like this, I was running closer to a 5k effort than a 21.1k effort, but I felt like it was the right way to do it. At around the 8th km some people tried to overtake me and I fought back, actually overtaking more people myself in the process. I soon started running with another guy and we run all the way together to the end. I don’t know what he was thinking but in my mind we were both trying to help each other to push ourselves to the limit. I was very much in race mode, as soon as I had someone in my sight I slowly but surely started catching up and overtook him. When my new companion was overtaking me I made sure I kept super close to him. We kept overtaking people, finished the first lap, kept a good pace uphill (4:30 m/km) and a fast pace under 3:50 m/km the rest of the way. In an hour we ran 15k, which then made it my second best time for 10 miles. Basically I did my second best time on everything that day, 10 miles, 15k, 20k and finally Half Marathon. 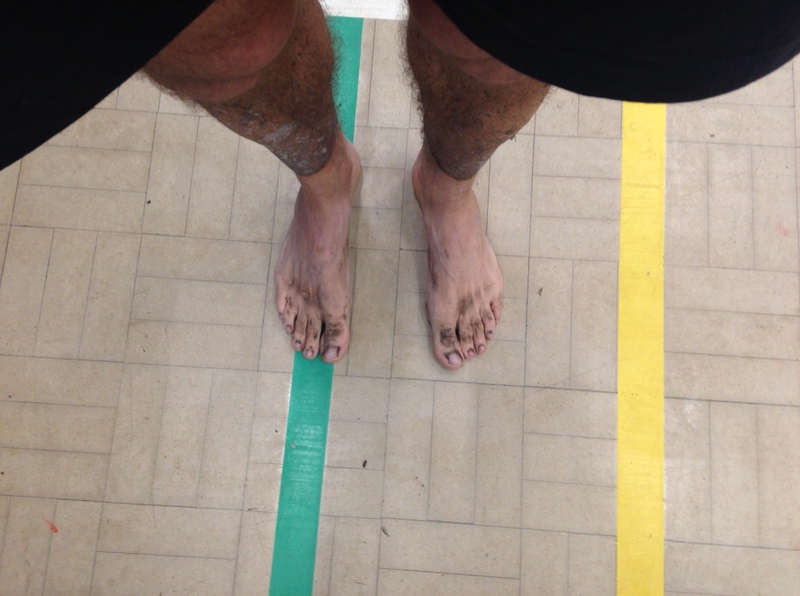 I was on fire, very wet and muddy, but on fire. In the last 2 miles my companion took the lead and I struggled to stay with him but there was no one behind so I was not afraid to lose positions. I finished in 1:23, in 9th position. One minute slower than my half marathon PB, but on a much harder course than the one I did the PB on, so I am very very happy. Amazingly if I had done this time last year I would have finished third. I was so wet and cold that I did not do any stretching (I paid for the mistake), put my legs under a water faucet to get rid of the mud and drove home. I am very happy with the result and with the “racing” feeling I had. While running I kept on telling myself “when you are home later on this afternoon you definitely cannot complain about not having gone fast enough or put enough effort this time”. Which is all I can ask for. Thank you @RunThroughUK for organising the race. If you are interested here is the Strava of the race. 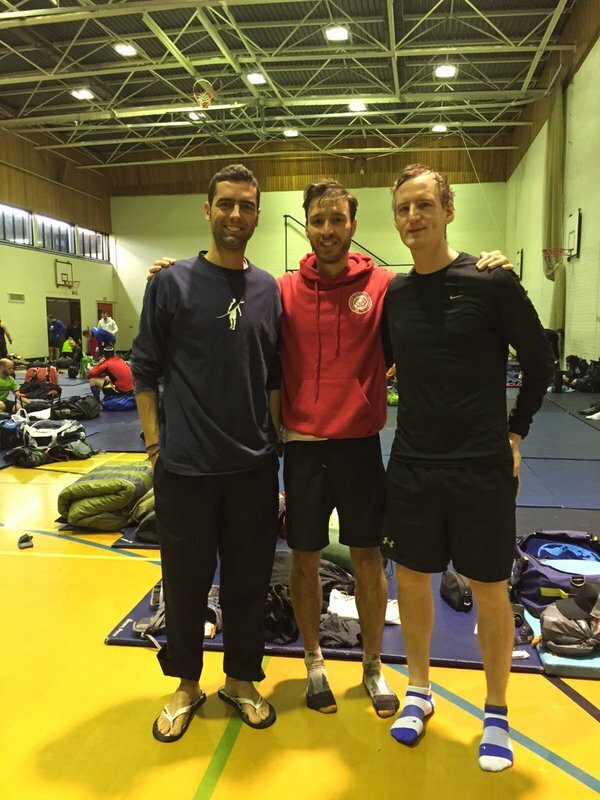 After the weeks dedicated to getting a bit faster and running a half marathon it was time to prepare for the next race, the North Downs Way Marathon. Yes, I am going to back to the trails of the NDW, I cannot wait. So I had to think less about speed and go back to running for longer. On Tuesday I did a recovery run of 12.5km at 4:45 m/km. I bought a new pair of shoes. As I fell in love with the Saucony Zealot and their 4mm drop I bought the Saucony Peregrine. To test them I went criss crossing Bushy Park, looking for the most “wild” trails there. It was a wonderful morning and the shoes are awesome too. On Wednesday I did the same again. Trail shoes and search for interesting new trails, but this time in Richmond Park. I found a hill I never explored. It has a lot of single tracks going up at various angles. I will go there more often. It was also a very hot day, probably the hottest of the year. It was above 24 degrees at 5am! I did 15k at 4:35. On Thursday I went out for a tempo run. I fist did a 5k warm up and then 5k at 3:55. I finished the session with a 1.7k cool down. Friday I took it easy as I wanted to have enough energy for long runs during the week end. I did 10k at 4:36. On Saturday I went for a long run. I probably left too late and it was very hot. I wanted to run 40k but the heat had the best of me. I ran out of water at the 20th km and had to stop in Richmond Park to refill and then fell running down a hill and slid on my back head first. I got home with rocks in my pants. In total I ran 36km at 4:59. Not too bad, but less than planned. Overall it was a good week. I managed to run longer distances, test new shoes, see new paths I will explore more in the future, had a lot of fun. Week total: 109km. One of the highlight of the week was going to see an evening of trail running short movies organised by Like the Wind magazine. They brought Trails in motion to London and shown the movies in the basement of a pub near Liverpool Street to a bunch of like minded people. I did not get the chance to chat with many people as I arrived late and left early, but the vibe was good. Nice images of wild woods and hills in Japan, boring video, I did not get the message. A short movie about personal life and problems faced by Ruby Muir. She knows how to run! Nice to see someone go so fast on spiky rocks wearing Five Fingers. The movie is about three sky running races taking place in Mexico. I like the way it showed how wild and hard those races are and the guts the runners have to run them. It looked very “real” and did not try to be poetic or philosophical like too many running movies do. I really liked the locations and the idea of two friends going for a nice adventure together. I did not like the bit where, in the moment of difficulty during the run, the movie showed the family of one of the runners as if he went to war and was looking for strength thinking of home. You are on holiday in one of the most beautiful part of the world doing what you like! Too short, I would have loved to have seen more of the adventures and achievements of the runner. Nice images and montages, but not much more. This was one of the best movies. I had already seen the shorter version on YouTube. You should definitely check it out. I don’t remember much about this movie apart from seeing some famous faces in there. This is basically what I do every day, run while everybody in the house sleeps and then come back before they wake up. I did go back to bed once like the runner in this movie, but I had a shower first. This was the main piece of the event, the longest movie too. I really liked it. I think movies need a story and this one had a strong one. It narrates Nikki Kimball attempt to beat the male FKT on the 273 mile Long Trail. I will not tell you how it ends, but it does not matter actually. Seeing the struggle of the runner, the support of the crew is all that matters. Worth watching twice. If you can, try and see these movies. I am not much of a reviewer so don’t listen to me, see them for yourself. I also suggest you subscribe to Like the Wind, because it is a special magazine, crafted with love. Here is a quick report of the last two weeks. Again I concentrated on speed works. The first week I ran a total of 90km. I did 10 easy km on Monday and 15k on Tuesday at 4:34 min/km (which is good considering all the beer I drank the day before). Wednesday way interval training day: 3k WU + 5x(1000@3:50 + 2’r) + 1.5k CD. Painful but good.15 more km on Thursday (at 4:29, notice how I am trying to keep a decent pace every day now). Friday was the painful day. After 3.5km of warm up I ran 10k at a pace faster than 4:00 min/km. I managed to do it. I ran the second half faster too.Good training for my next half marathon. I also purchased a second pair of Saucony Zealot. I love those shoes, but the first pair had given it all after 900+ km. For the week-end we went to the Isle of Wight and ran on the country roads on Saturday (11k) and on the coast trails on Sunday (12k). Beautiful place. It is worth going back to explore the trails and maybe see some sunshine! After a day of rest I went out for a quick run on Tuesday (11k at 4:18). Legs felt good. On Wednesday I ran my usual 15k, finishing with some sprints. I added to that another 15k run on Thursday and took it easy with 10k on Friday. On Saturday I ran the Bushy Park Parkrun to test whether the latest sessions of speed training had helped. You can see a video here.I am the one with the black t-shirt and dark blue hat at around the 12th position. And in 12th position is where finished. In 18:10 which is exactly my PB from last year. Which only means one thing: my speed is back, I am as fast as last year even after all those long long runs. I am very happy. On Sunday I ran 22k at 4:24 to feel cool and complete another 90km week. Next week I will take it easy as I taper for the Richmond Park Half Marathon on Sunday. But the most important and thrilling piece of news is that I found my next big challenge. I was looking for something as big as the NDW50 for the second part of the year and decided to enter The Druids Challenge. It will be the first time I take part in a multistage event. Running 3 ultras in 3 days (84 miles in total) will need some serious training. I cannot wait!